Monique Head Knows That Stability is Key to Construction. Head, an Associate Professor at the Morgan State University (MSU) School of Engineering, contends that being able to provide solutions to address our nation’s deteriorating transportation infrastructure is essential. At MSU, she teaches students how to use innovative materials like composites that are corrosion-resistant to replace steel bars in concrete bridge decks and columns. “We design them and build test models that we break in the lab to validate the newly proposed design methods so it can be implemented into design codes for more common use,” she says. The goal is to improve the resiliency of our nation’s bridges while protecting lives, especially during extreme events like earthquakes, floods, tornadoes and hurricanes. The biggest surprise in her career path ,she says, has been the amount of writing required from email to grant writing to reviewing students’ writing and preparing journal papers, and reviewing journal papers written by other academics. The Newark, Delaware native is a member of the Delta Sigma Theta Sorority, Inc., and belongs to the American Society of Civil Engineers, the National Society of Black Engineers, and Chi Epsilon– The National Civil Engineering Honor Society. MS and BS in Civil Engineering from the University of Delaware. Movies: Pretty Woman and Dirty Dancing are tied. Kenya Roberson is from a family of STEM professionals. Roberson has potentially life-saving tasks. He must provision, install, configure, operate, and maintain the hardware and software systems, as well as research and resolve problems, for Norfolk Fire-Rescue (NFR) in Norfolk, VA. The now NFR Program Analyst III, and Alpha Phi Alpha Fraternity, Inc. member, who was hired in 2012, has company in STEM. His sister is a systems analyst, his father, Joseph Roberson, is a PeopleSoft Human Resource Information System Support Analyst, and his aunt was a Cell Biologist and Immunologist. Kenya Roberson earned his BS in Computer Science, with minors in Math and Physics at Lincoln University. It was the nation’s first degree-granting Historically Black College and University (HBCU). Apps: Facebook, Twitter, Instagram, LinkedIn, social network and game Swarm, YouTube, and Google +. Graphic novels: Batman: Year One, Batman: The Long Halloween, Spawn/Batman, and Sin City. Web site: Mindwellamedia.com, a print and web design company. Veronica Cedillos works to protect lives and the built environment. 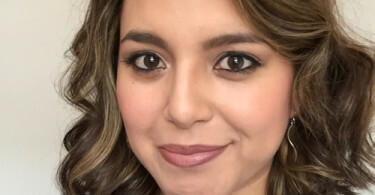 Cedillos, as a girl in El Paso, Texas nurtured a deep interest in math and science, and her father, a civil engineer–working for the city–introduced her to engineering. As an Associate Director of Projects at the Applied Technology Council, Cedillos works for an organization dedicated to advancing the application of engineering to lessen the impact of natural hazards including earthquakes and hurricanes. Cedillos, who joined ATC in 2014, once never imagined doing disaster or international work. 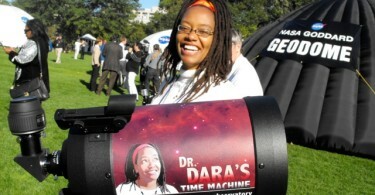 In 2007, she did so for Engineers for a Sustainable World, and learned that she loves using skills for the public good. What’s the geekiest thing about Cedillos? She loves making excel sheets for almost anything. Her non-geek self loves running and she has participated in several half marathons. Cedillos is a member of the Structural Engineers Association of Northern California, and the Earthquake Engineering Research Institute. The Professional Engineer received her MS in Structural Engineering, from Stanford University and her BS in Civil Engineering from the Massachusetts Institute of Technology. Apps: Strava for running and cycling, Spotify, Whatsapp, and Vivino, a wine scanner. Books: The Art of Possibility by Benjamin Zander, and The Alchemist by Paulo Coelho. Podcasts: Live Happy Now, TEDTalks, and NPR. Web site: WaitbutWhy.com, A popular long-form, stick-figure-illustrated blog about almost everything. Macari is the Dean and Professor of Engineering at the University of New Orleans (UNO) was born and raised in Mexico, and is a geographical engineer who researches disaster mitigation. He is a former Commissioner on the California Seismic Safety Commission, which investigates earthquakes and recommends policies to the Governor and State Legislature. Macari, who is also UNO’s Interim Vice President for Research and Economic Development has extensive skills in helping academic institution’s increase enrollment which serves him well assisting the engineering school. He received his Ph.D from the University of Colorado, Boulder. His MS in Civil Engineering – Geomechanics is from the University of Colorado at Boulder and a BS in Civil Engineering is from the Virginia Polytechnic Institute and State University. Robyn Hannigan is investigating climate change’s impact on the oceans. Hannigan’s interest in science and exploration is rooted in her early childhood when her father brought her a toy microscope. Today, the interests of the Founding Dean, School for the Environment at the University of Massachusetts at Boston have shifted. She is focused on investigating the climate of the oceans in the Earth’s deep past to understand the future impacts of climate change on our oceans. “Research in our lab group spans from geocheical research on ancient anoxic muds which we use to reconstruct paleoenvironments to how ocean conditions such as acidification impact the development of biominerals,” she says. Hannigan is also proud to make the claim that her students are the “brains” behind this operation. Hannigan, a member of the Narragansett Indian Tribe, earned her PhD from University of Rochester, an MS in Geology/Earth Science, General from the State University of New York at Buffalo, and a BS in Biology from The College of New Jersey.